Do any of these complaints seem familiar? We’ve all been there – brain fog, low energy, forgetfulness; but now you can do something about it! 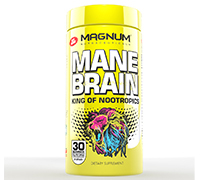 MANE BRAIN is clinically formulated to increase your brain’s ability to process data, remember more information, and reduce stress and anxiety. WHY IS IT CALLED MANE BRAIN? 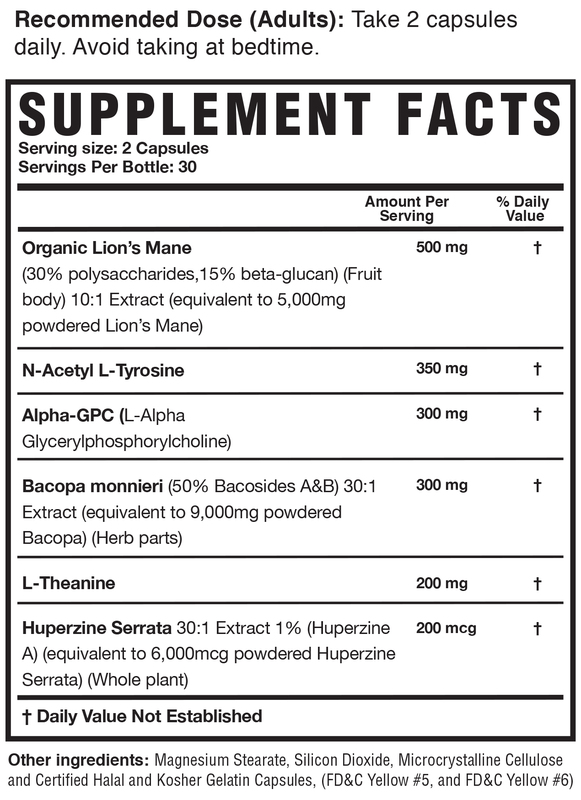 Lion’s Mane has been the subject of many human studies showing excellent improvement in mental performance. In fact, one study demonstrated that Lion’s Mane can help preserve photographic and short-term memory. This is super important when trying to function in mentally demanding situations every day of your hectic life. Another study showed that Lion’s Mane was also effective for significantly improving cognitive function in those with mild cognitive impairment when taken for at least 4 weeks. We guarantee you that you’ll feel more energized, alert, focused, and less forgetful from the very first dose!